Something you can do yourself ( Lady Bug offers it too ) that significantly reduces pests from entering your home is SEALING pests out using caulking around all the entry points on your home, around the base of your house and under the lip, around lights, & patio over hangs. By reducing harborages and access into your home, it is a very effective way to control pests, particularly scorpions. It significantly reduces the amount of pests that can gain entry. It also reduces AC/Heat loss from your home. Minimize food sources with good sanitation habits. Cut back any tree branches touching house and dead limbs. Keep hummingbird feeders away from house. Minimize excessive moisture conditions (over watering, pipe leaks and standing water). Minimize vegetation growing on your house and the block walls. Keep palm trees trimmed and shrubs trimmed. Minimize river rock and railroad ties in your landscape designs. Keep fruit that falls from trees picked up. Pooper-scoop after your pet regularly. Also keep tree branches from touching the house to keep pests from entering under the roof tiles or through roof vents. Keep wood piles and storage items off the ground. Use cement blocks and 2x4 planks to store items off the ground. Minimize bark chips, dense vegetation, and leaf piles outdoors. Use yellow light bulbs in outdoor light fixtures. Keep plastic bags, plastic pool covers and pool floats off the ground. When it comes to pest control treatment, Pest Control issues should be handled by a professional. Choose a company that uses natural products. At Lady Bug we use a variety of ECO- Friendly products that are all EPA approved or FDA approved and are made from clove oil, guava fruit, rosemary and other organic products and naturally occurring materials. They are very effective against pests. Lady Bug provides an Eco-Friendly Pest Control Program that controls Common Pests such as ants, spiders, roaches, ticks, crickets and scorpions. We also offer Bed Bug Heat Treatments, Termite Control, Home Seal Services, & Rodent Control. 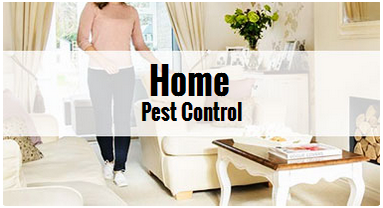 We offer a safe alternative in pest control for people and their pets. We understand about safety and pets and have been doing Eco-Friendly Pest Control since 1995. With our Bed Bug Eco-Heat Treatments, we safely raise the temperature of the problem area to a level no pest can survive. Our Eco-Heat Treatment eradicates the entire bed bug population in a single treatment. We are very often recommended by natural doctors & medical doctors throughout the valley, and even service their facilities. Vets & their patients love us too. As well as bird aviaries and animal shelters. We would love for you to consider making safer choices related to chemical safety and the use of pest control products, especially with people with more sensitivities and compromised health already.